I asked the fantastically amazing David B. Coe to guest blog for me today to promote his new series, The Case Files of Justis Fearsson, and he came up with something just a little bit different… In the past he’s done some great blogs for me as D.B. Jackson (author of the “tricorn punk” Thieftaker series). Some of those include: Where Does the Author and and the Character Begin and History and POV. He’s also a regular blogger for Magical Words, where I think he does some of the most helpful and informative posts for writers. Today, though, he managed to wrangle a particularly reticent character into an interview. I have to say that I think this is the first time anyone’s ever gotten a runemyste to speak publicly and it may very well be the last, so enjoy! What’s a runemyste, you ask? Well, I think I’ll let Namid speak for himself. Welcome! Today we are most fortunate to have with us Namid’skemu, one of only thirty-nine runemystes in the entire world. Namid’skemu, who in life was a shaman in the K’ya’na-Kwe clan of the A’shiwi, or Zuni nation, gave his life centuries ago so that he could be transformed into a runemyste, a protector of magic in our world, and a teacher of those who would learn spellcraft. He is a somewhat reticent individual, and we are truly honored that he has consented to join us today. Do you mind if I call you Namid? N: Some call me this. You may as well. Thank you. Can you tell us a bit about what it means to be a runemyste? N: You have spoken of this already. I am a guardian of magic in your world, and I would train those who carry runeclave blood in their veins. Of course, but I’m sure our readers would like some more details. What exactly does that mean? N: Which of the words I used did you not understand? It’s not that I . . . Never mind. From whom do you guard the magic? N: There are some among the weremystes of the world who have turned to dark magic, who cast blood spells or seek to escape the effects of the moontimes by using forbidden magic. My fellow runemystes and I watch for signs of this dark magic, and we train weremystes of your world so that they might prevent such abuses. N: What runecrafters would call phasings. Each month, on the night of the full moon and the nights before and after, weremystes lose control of their minds, even as their magic is enhanced. It is the natural way of things, the price of the magic weremystes wield. But some seek to evade this law of runecrafting, and often their attempts to do so involve blood rituals, even murders. We cannot sanction this, but we also cannot interfere in your world. And so those we train act in our stead. I see. And among those you train — you in particular, I mean — is one Justis Fearsson, a former police detective turned private eye. N: He is a runecrafter of limited ability but uncommon potential. He is also a most difficult man. He has an odd sense of humor which he displays at the most inopportune times. He is reckless and does not show enough discipline in his training. So you don’t like him. N: I did not say that. I am not sure what right you have to inquire about our personal interactions, but as it happens I consider Ohanko a good friend. N: If you wish to ask questions about Justis Fearsson, perhaps you should speak with him. Very well. Let’s move on. Your appearance is most unusual. You appear to be made entirely of water, and yet you have substance and form. How is this possible? N: I am of the K’ya’na-Kwe clan, the water people. My line is now extinct, but we were a proud, powerful, spiritual people. Centuries ago, when as a living man I was sacrificed by the runeclave, the magic that transformed me into a runemyste allowed me to take my true spiritual form. And so I am as I appear before you: a shaman and the living embodiment of the water people. So you’re sort of a ghost. N: I am not a ghost! Why is it that humans of your world are so limited that they cannot conceive of a spirit being as anything other than a ghost? N: Justis Fearsson calls me a ghost as well, though he does this to annoy me. He knows better. But you . . . Ask your next question. N: I am not. My kind can be killed, though it is most unusual — in all the hundreds of years since the runemystes were created, not one of us has perished. But we exist to fight those with dark magic, and so our vigilance cannot slacken. Are all of your kind like you? N: If you mean do they appear as I do, the answer is of course they do not. Each man and woman who was sacrificed by the runeclave took a form natural to his or her heritage — some are stone or wood, others are comprised of wind, of music, of soil, of light itself. They were drawn from all over the known world, and they are as diverse as the people who now inhabit the earth. And are they as committed as you are to the protection of magic? N: Why do you ask this? What have you heard? I’ve heard nothing. I’m curious is all. N: I probably should not speak of this, but the truth is, some are not as devoted in their opposition to dark magic. Some — one runemyste in particular — has chafed at the limitations placed upon our kind by the runeclave all those many years ago. He wishes to do more, to extend his influence beyond what is thought proper by the rest. He bears watching, this runemyste, for he may well be a threat to all that we hold dear. Who is he? What’s his name? N: [Shaking his head] I have already said more than I should. I know nothing for certain. I have heard rumors, whispers riding the wind. I will say no more on the matter. Indeed, I have tarried here too long. I must return to my kind. Farewell. Thank you, Namid’skemu. This was a most interesting conversation, cryptic as it was. Good day to you. David B. Coe is the award-winning author of more than fifteen fantasy novels. 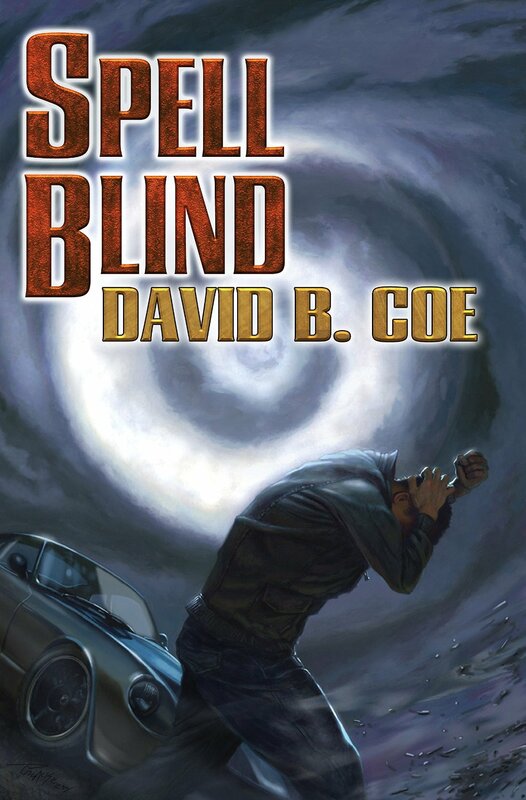 His newest series, a contemporary urban fantasy called The Case Files of Justis Fearsson, debuts with the January 2015 release from Baen Books of Spell Blind. The second book, His Father’s Eyes, will be out in August 2015. Writing as D.B. 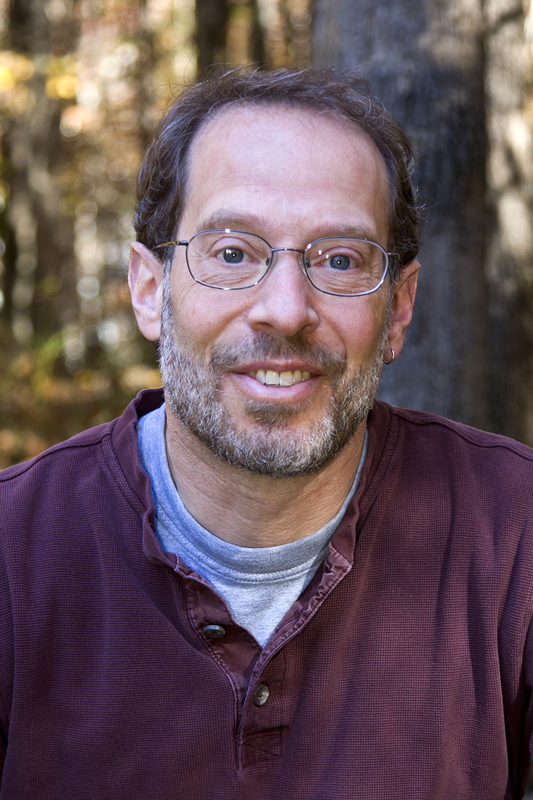 Jackson, he is the author of the Thieftaker Chronicles, a historical urban fantasy from Tor Books that includes Thieftaker, Thieves’ Quarry, A Plunder of Souls, and Dead Man’s Reach (coming in July 2015). He lives on the Cumberland Plateau with his wife and two teenaged daughters. They’re all smarter and prettier than he is, but they keep him around because he makes a mean vegetarian fajita. When he’s not writing he likes to hike, play guitar, and stalk the perfect image with his camera. Where he can be found: his blog, D.B. Jackson website, Facebook, Twitter, Amazon.